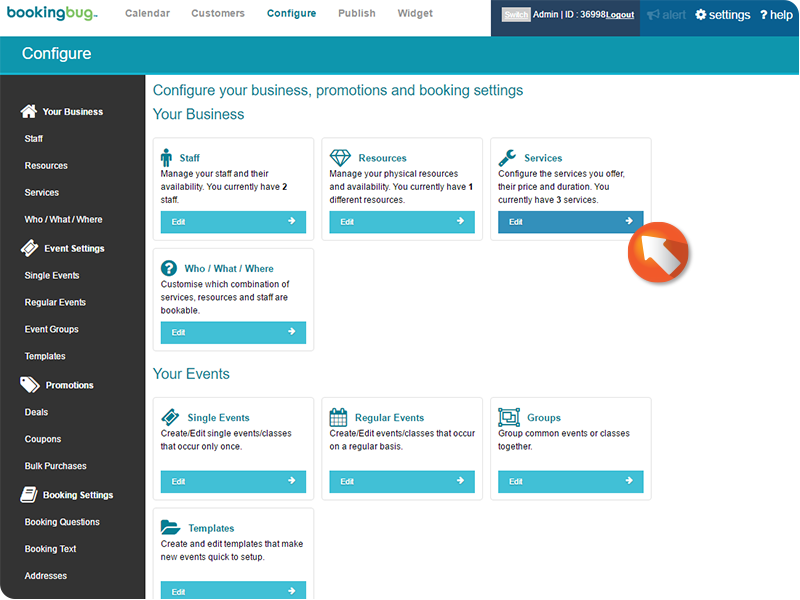 From the Dashboard, click Configure to open the BookingBug Configuration menu. 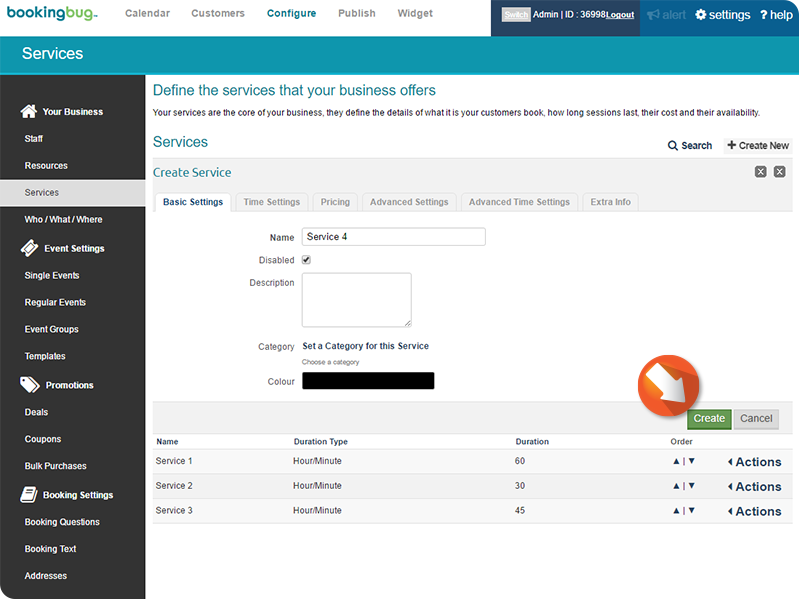 If prompted, click the desired Service type. Services can be scheduled based on Day, Week, Hour/Minute, or Variable Time. 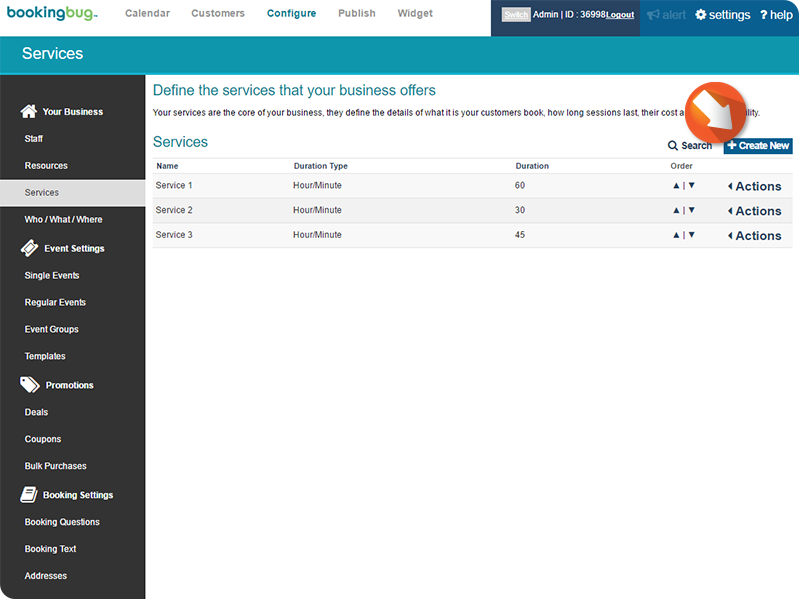 Variable time allows your company to charge different prices for Services at different times of the day/week. Enter the desired Service name and description. 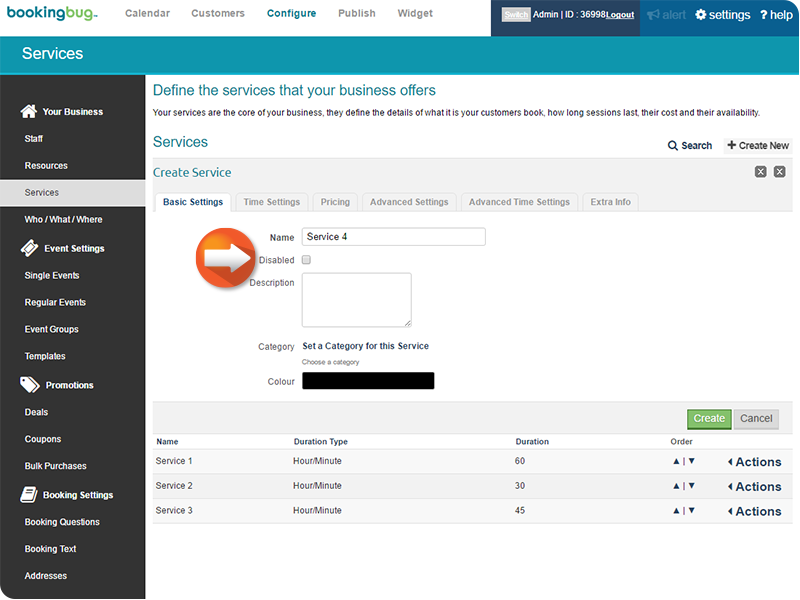 If displayed, enter the number of Available Spaces for the Service. 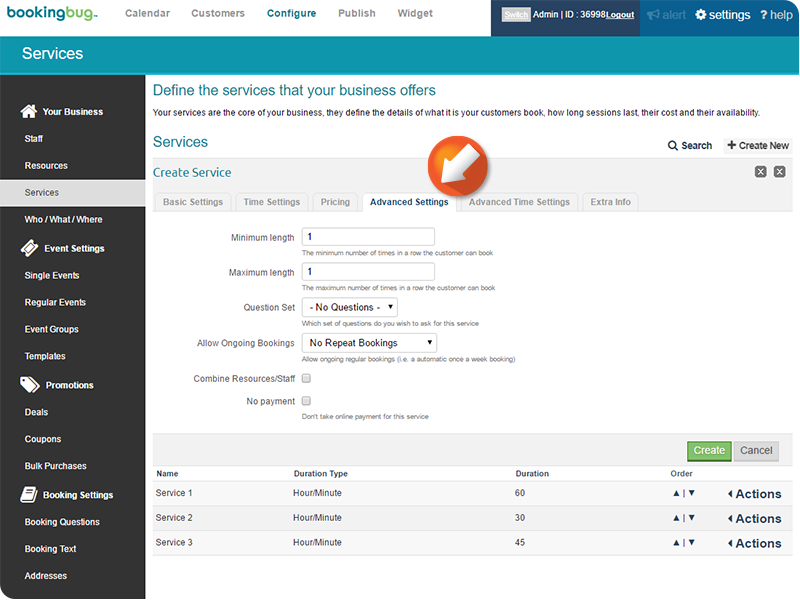 If desired, click to add the Service to a Category. 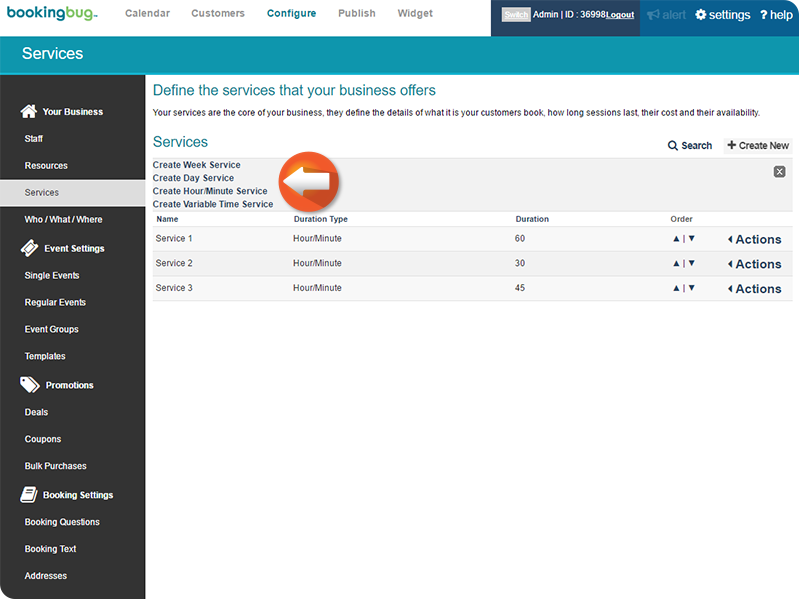 Categories can be used to organize different Services in your BookingBug widget. 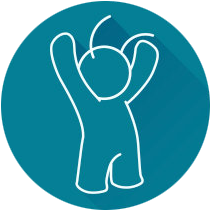 Click the 'Disabled' checkbox to toggle the option on and off. This setting will hide your Service from your BookingBug widget. 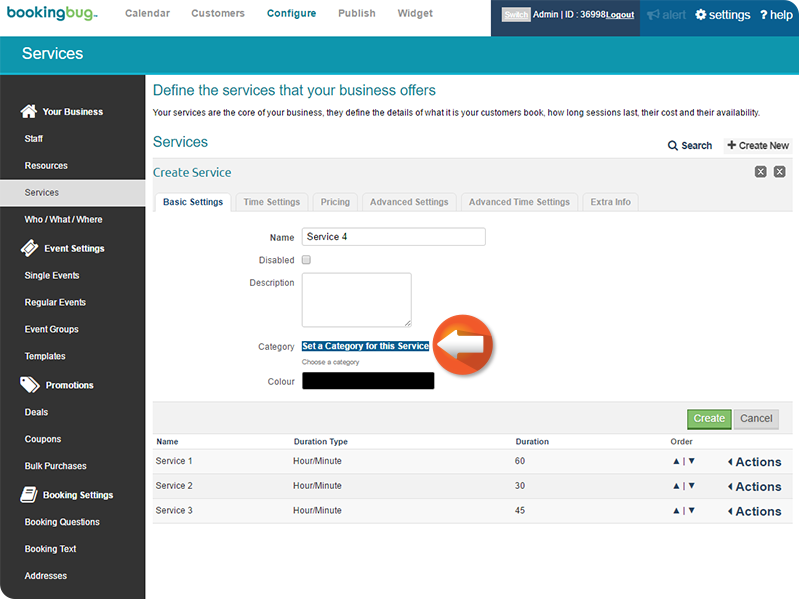 Use this setting to temporarily toggle off certain Services at your Business, or construct a Service while in disabled mode and then enable to push the changes to your live widget. 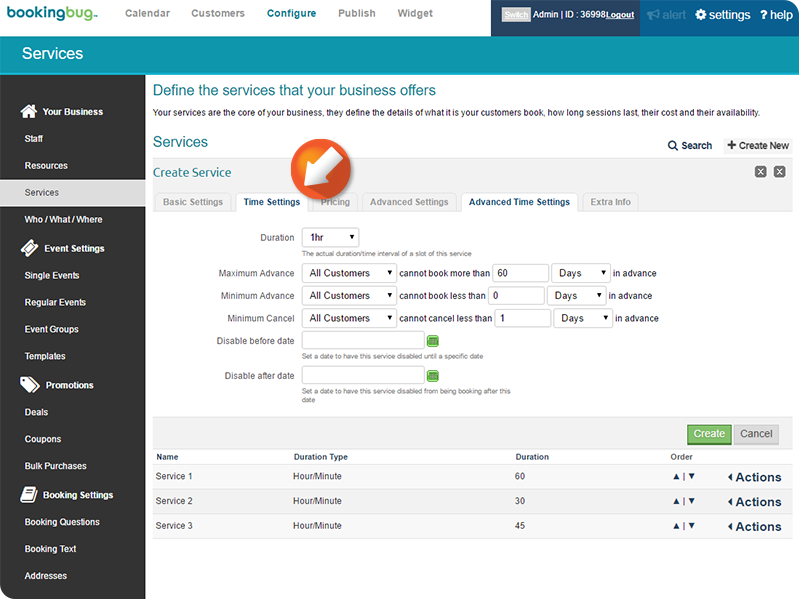 Click the Time Settings tab to adjust the Time Settings for the Service. Enter the duration and price, adjust the maximum and minimum booking/cancellation time, and create Start/End dates for your Service from this menu. Click the Advanced Settings tab to set Question Sets, Allow Repeated Ongoing Bookings, and Limit the amount of Promotional Deals. The Vouchers Only checkbox makes the Service only bookable with a Voucher. 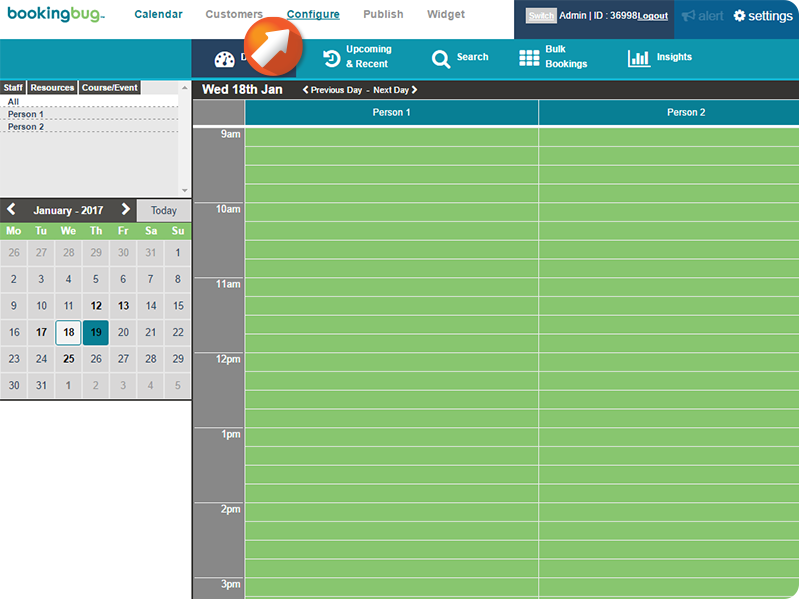 The Combine Resources/Staff checkbox combines Resource and Staff when determining availability. The No Payment checkbox toggles the option to pay for the Service while booking on and off. Click Create to save the new Staff Member. 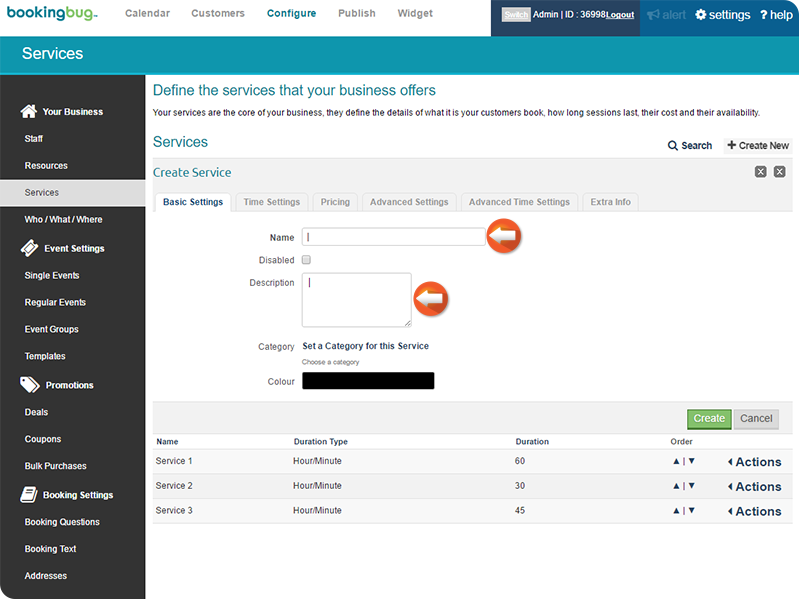 If the desired Service Type is not available when creating a new Service, refer the Service Type article linked below to ensure the correct configuration for the desired Service Type is set.